Welcome to the 5th Reader Case Studies on The Humble Penny. The goal of these case studies is to solve real problems. 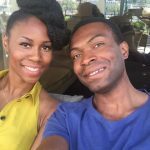 If you’re new this, the case studies are a way for me to better interact with the subscribers of this blog. I refer to the subscribers as The Fearless Generation because they’ve got to a stage in life where they’re seeking another path. This generation wants to be debt free, create multiple incomes ethically, become financially independent, live fulfilling lives and ultimately Create Financial Joy. These case studies are a way in which I can help to solve their problems via free coaching. Solving such problems is what The Humble Penny was created for and exists to achieve. In addition, they get crowdsourced responses from other readers in the comments below. Together, we can help ourselves and each other. 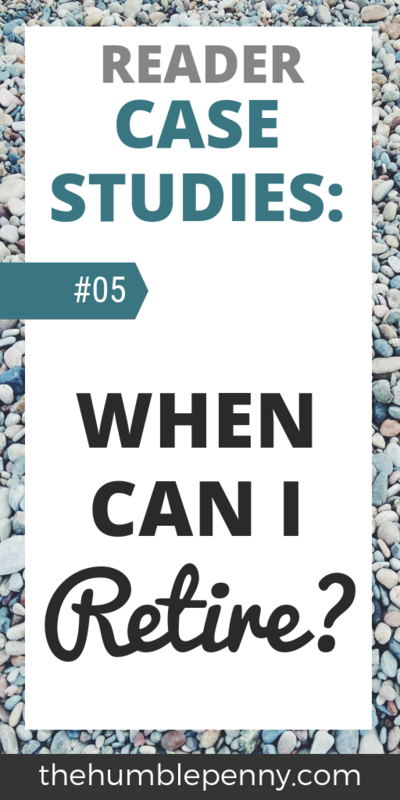 As these case studies are real-life situations, I commit a fair amount of my time to consider them and respond. Note that I am not offering Financial Advice! Just guidance based on my experience. Case Studies will be published monthly. If you want your problems solved, simply write to me and tell me how I can help. The key requirement is that you must be a subscriber of The Humble Penny. Your problem has to be within one of the categories of this blog. I.e. Money Making, Money Saving, Investing, Side Hustles, Debt Free, Financial Independence, Blogging, Relationships, Life etc. You can also choose an alias for privacy reasons if you prefer. If your case is chosen, I’ll write to you immediately and let you know. Simply write in and I’ll attend to you personally. 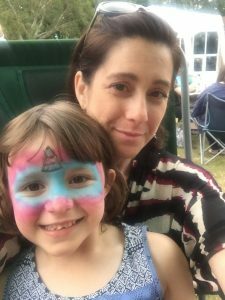 I’m Kate (42) and my husband, Seb is 46; and our daughter is 6 years old. We’ve been together/married for 11 years. We live in South East of England, husband travels into London for work, but also works from home, locally and offices throughout South East. He works in project management and has been with them for just over 10 years, however, before this, he worked in retail earning very poor money. I am a teacher and work locally. 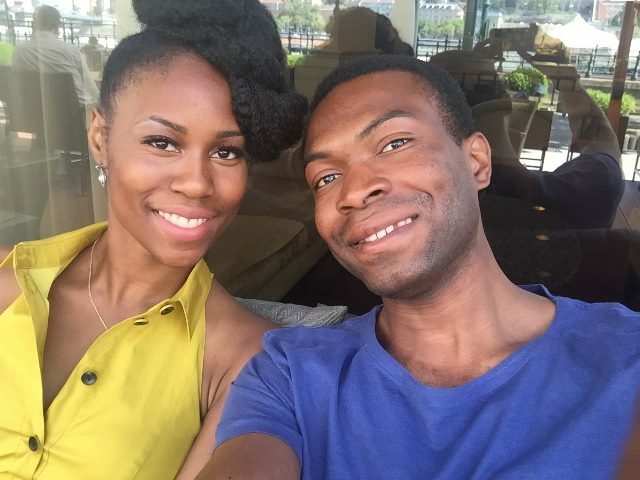 We both work long hours and do not think, nor want an extra business (aka side hustle). Family and health and enjoyment is too important. We are now frugal people and avoid the shops – physical and online. I found Mr. Money Mustache (MMM) about 2 years ago as I was googling how to get out of debt and retire. Before we were married Seb had got himself in a mess due to a poor rental property that had a secured loan on it at an interest rate of 30% for a term of….yikes 25 years. Also, we then amassed credit card debt living a young and happy lifestyle. We also didn’t have a clue about what money came in and what went out each month. Anyway short story long! MMM saved our bacon because he made us change our ways. I started tracking our spending and started being super critical about our spending habits. It’s important to emphasise though that this took at least a year to sink in. Many blogs gloss over this point. It takes about 18 months for habits to change and solidify. So, we paid off a lot of debt, still a little more to go, but we can now see the light. First Question: What do we do with the £320 each month that will be freed up once the debt is paid off? We’d like to have a better lifestyle as feel we have been super frugal, but we are equally happy for it to go towards investments so we can retire early/on time. 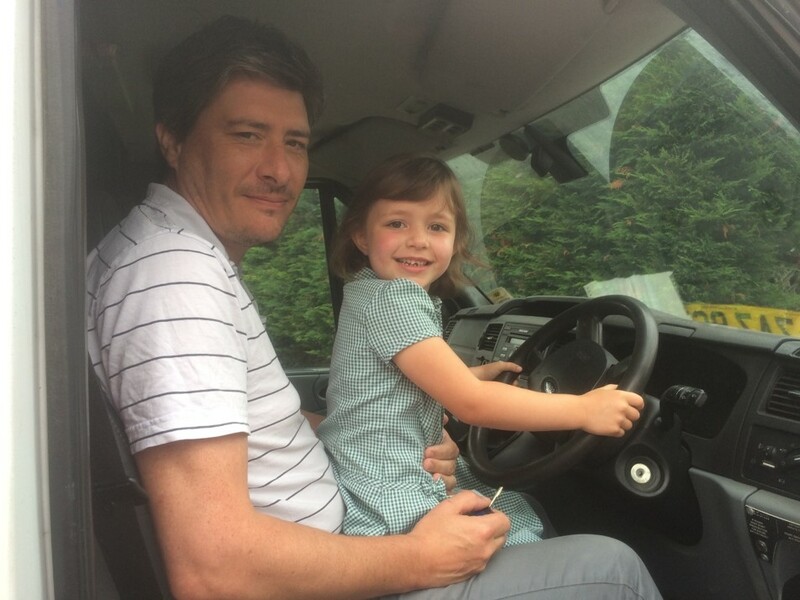 It’s hard as daughter is young and we want to enjoy life with her too (not to spend on toys, but rather travel and go on holiday). After reading MMM, I got rid of my lease car and that saved over £200 a month. We now have one car, which is a company car (Seb’s), but his company is moving over to providing a car allowance. So we will need to get a car loan for approximately £11,500 max for about 2 and a half years. The car has to be less than 5 years old and low emissions. Seb does get a fuel allowance. We are thinking after the loan is paid off I then get to have a car (whoop whoop!) or we resell and get another car that’s under 5 years old. The car allowance will pay for the loan and once the loan is paid off then any future car allowance will be ours. But the car does need to be under 5 years old and low emissions, so that’s the tricky bit. Suggestions welcome, but also it can’t be a small car as he’s over 6 foot and travels a lot of miles. I have adapted to not having a car, I walk and bike. 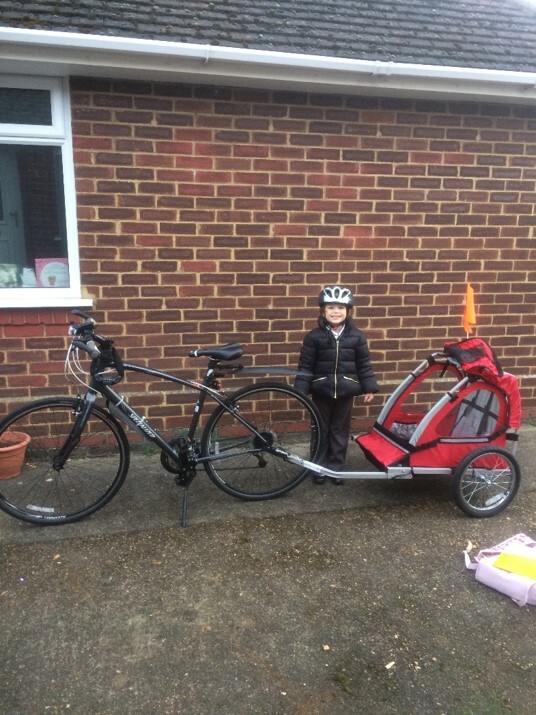 Daughter travels on my bike trailer. But she can now ride a bike so it’s all good. After reading MMM and other financial blogs we sold Seb’s rental property as it wasn’t making any money. It was covering the majority of costs though. 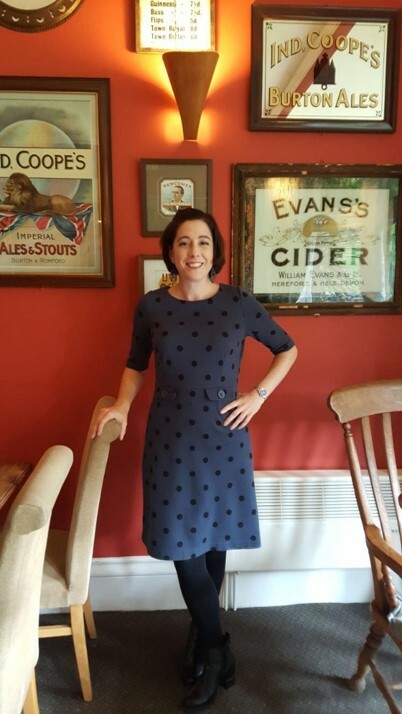 But in so doing, we incurred a lot of debt as the property was in negative equity because Seb had taken out many loans against the property before we got together and before he had a decent job. Sadly, he had been living a champagne lifestyle with the champagne income. It was such a relief to have it sold and not to worry about the past haunting us anymore. Again with MMM and other FIRE blogs we decided to do ‘house hacking’ properly. We decided to rent out the place we had together and buy another home in a better area of town with better schools. As per the first question, as our present place needs a lot of work doing to it, then it would be nice to have a bit of spare cash. But don’t worry we are frugal and we aren’t in love with marble/islands/hardwood floors! However, we would like a proper flushing toilet and insulated roof. So the spare cash from no more debt payments could go towards the house. After discovering MMM I also discovered Choose FI, I found the podcast right at its launch and listened along as they made the episodes. I also enjoy Radical Personal Finance and the British podcast, Money to the Masses. They have given me lots of insights into the importance of investing. Something I never knew about in my 20s, or 30s. Finally, in our 40s we have seen the light and started investing in stocks and shares. We feel we are very late to the game and are playing catch up. Second Big Question: When can we retire? We have only been paying into ISAs and SIPPs for appx 2 years. We are 42 and 46. We have a 20-year mortgage due to end in 2037. So making us 62 and 66, which is kissing standard retirement age. However, I understand the influence of inflation so I have no desire to pay off the mortgage early. We feel that if we can cover the costs of our living from when Seb is 60ish years to 67 when the state pension kicks in then that would be an enormous achievement. I know of too many people who get to their 60s and then sadly the casket takes them away. But, we also know a lot of people including our parents who have longevity on their side. I would like to work to 55 but can go to early 60s if needs be. So again how does a cut in earnings affect us? £100,000 in rental residence. (Mortgage of £200,000 so would need to find this to pay off the mortgage or sell it and just get the money. I’d like to keep rental as it’s a hedge against inflation). Apx defined benefit teacher’s pension £5,000 per annum at 66 years (with a tax-free payout – I can’t remember how much). £25,000 in S&S ISAs approximately. £2,000 in junior ISA approximately. Apx £4,000 per annum in Seb’s previous employer’s defined benefit pension at age 67. Apx £20,000 in Seb’s defined contribution pension. Seb is paying 10% of his salary into company defined contribution pension held with Black Rock FTSE all share UK index fund. His company pays 10%. Total approximately £600 a month. I pay into teachers pension but don’t know how much as its defined benefit, I speak to pension people about the future, but they are not helpful as it all depends on future governments! We put £1,100 a month into Stocks and Shares ISAs. £200 a month into a SIPP. £100 a month into a junior ISA. £200 into cash emergency fund, but we are not always good at keeping this untouched. Present repayment mortgage means approximately £600 is going towards the loan, rest is interest. So to achieve retirement in 14 years when Seb is 60 and I am 56 are we saving enough (own savings plus pension savings plus existing net worth? Do we need to contribute more, change time frame, change expectations etc? We are very happy to downsize primary residence, our dream is to live in the UK for half a year and France half year. We think in a caravan park in England, so could get a mobile home for approximately £80,000 or a small cottage for £200,000 and a place in France we rent. We are happy to live somewhere much cheaper, Costa Rica, Thailand, Nepal, Croatia etc. We have a small family and only one child so we aren’t people who feel they have to be somewhere because of family. No mortgage (or a small amount as would have only 4 years left, I’m not sure how to work it out, just the amount until the end of the mortgage term). But would like to add another £500 for Holidays (cruises etc) but obviously, this can be cut! If we could fund a lifestyle for £2,000 a month with no mortgage that would be a luxury. Furthermore, If we could then add on state benefit at 67, then that would be lush. We both see how much a difference someone in their 60s acts and behaves to someone in their 70s, so to be in a position in our 60s to live a life we want would be amazing. In 16 years our daughter will be 22 so that’s a good age to help her out with life if we can do this too. Thanks for writing in and presenting your case. I appreciate it. 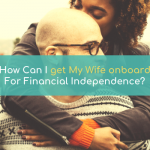 Your financial journey is deeply encouraging. 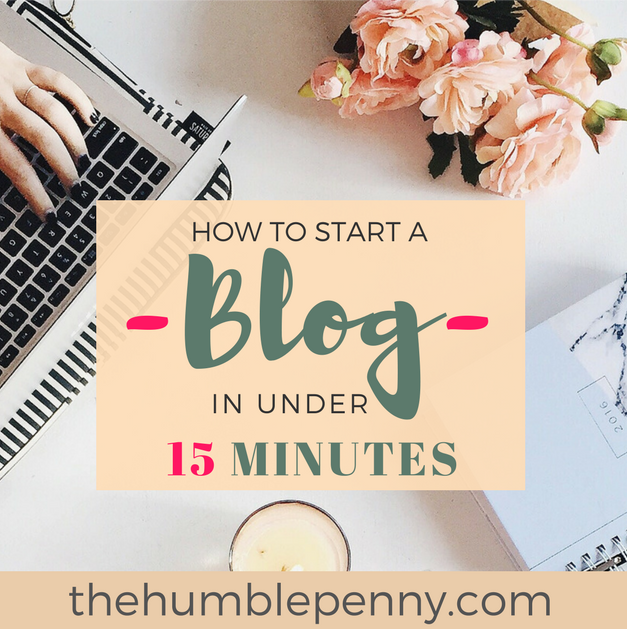 The fact that you’ve made numerous changes to your financial lives from just reading blogs is encouraging for me as a writer. You’re absolutely right about the time it takes for habits to set it. What I found most impressive about reading your case is that you put what you learned to action. You’ve also been able to move beyond the emotions and managed to bring your goals into the dimension of time. I.e. you realise that it’s a time problem and you’re working to manage the inputs that you can control. What should you do with the £320/month of spare cash that will be available once your debts are paid off? When can you retire given your current financial position and age? We tackle these in turn below. What should we do with extra £320/month? There is a need for you to achieve balance in life. The time of your daughter’s youth is priceless and can never be recovered once gone. With an extra £320/month, my recommendation would be to invest some of it in yourselves and your home for a time. I.e. Make yourselves comfier at home and even consider a decent holiday with your daughter for a year or two. Make some memories and enjoy yourselves. You deserve some comfort given all you’ve done. But I’d plan this very deliberately and keep things sensible. Then I’d recommend moving at least 50% of that income into your investments. Given you currently have steep goals for early retirement, you need as much money as possible at work. How much money you invest will depend on what your current shortfalls are, which we’ll cover in detail below. This is one of the most asked questions when people consider the passage of time. Asking the question is the first step in the right direction. It indicates that you’re not afraid to face up to the truth about your finances. The way to approach this question is to keep things logical and sensible. By sensible, I mean, apply sensitivity analysis to the various inputs that affect when you might retire. How large does my target pot of money need to be? How long in years do I need to invest my money for? What portfolio returns are realistic to use for my calculations? What monthly (or annual) contributions do I need to make? 1. How much income do I need in retirement? You’ve told me that you’d like £2,000 a month (£24,000 per annum) in retirement. This is enough to cover your expenses and give you a good lifestyle assuming little or no mortgage. 2. How large does my target pot of money need to be? The best way to approach this is to aim to maintain the purchasing power of your portfolio and income. As such, you want a pot that allows you to withdraw an income at a rate that is less than or equal to the real return your portfolio generates. The ‘real’ return is one that factors in inflation over time. A great rule to use is to aim to withdraw 4% or less of your portfolio (a balance of equity and bonds). Let’s assume you go for 4%. 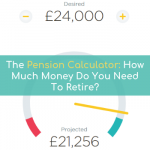 At 4%, this implies that the target pot of money you require for your retirement is £600,000 i.e. £24,000/4%. 3. How long do I need to invest my money for? This is usually the one that most people wish they’d considered earlier. For you, the goal is to invest your money for 14 years and retire at the age of 56. Given this is somewhat fixed because you want to retire earlier, it means that your returns (#4) and contributions (#5) are the levers you need to tweak. The returns (#4) are mostly outside your control although you can influence this by what you invest in. Contributions (#5) are fully under your control. Let’s explore these further below. 4. What portfolio returns are realistic to use for my calculations? This is one area where most people get overly optimistic with their calculations. Inflation – The erosion of purchasing power over time. Investment fees – Investing your money costs money. Given the above, what you want is a realistic rate of return that factors in inflation (i.e. real) and is net of fees. I have assumed you can get a 5% real rate of return on your investments. 5. What monthly (or annual) contributions do I need to make? As you know #1 – 4, working out your monthly contributions is the final thing to do. This is a mathematical calculation, and to keep things simple, I have done this for you and presented it in a chart below. i) rate of return, ii) monthly contributions and iii) years to invest. The analyses in the chart below will tell you how your shortfall against your target pot will change with any change of i – iii above. The result shows some interesting things. You’re investing £1,900 a month i.e. £1,100 (in your ISA), £600 (Seb’s pension), £200 (in private pension – SIPP). You also have a large lump sum of £45,000 i.e. £25,000 in your ISA and £20,000 in Seb’s pension. I have put both of these numbers to work separately in the chart above. Over 14 years, your £1,900 a month at 5% return compounding becomes £446,849 in 14 years. Over 14 years, your £45,000 lump sum at 5% return compounding becomes £88,735 in 14 years. This means that over 14 years, your total pot becomes £535,584 assuming 5% real return. Given you need £600,000 for a £2,000 per month income in the future, it means that you’ll have a shortfall of £64,416. This is an amazing place to be, especially given you have not even factored in your state pension and defined benefit pensions. In addition, you still have a rental property currently with £100k equity and likely to grow significantly over the next 14 years. Note that it’s important to apply sensitivities to the numbers above. I also worked out that in order to have no shortfalls at all, what you need to invest today is £2,551 per month at 5% real return. This will give you exactly £600,000 in £14 years. I have also looked at the circumstances where you work a bit longer but keep your contributions the same. You notice from the 4th box in the chart above that working another 2 years (total 16 years) tips your shortfall into a total surplus of £28,126. Again this is all things being equal. Note that a 4% withdrawal rate implies 25 years worth of stash if your real return is also 4%. i.e. 25 years = 100%/4% withdrawal rate. If, however, your portfolio generates more than 4% real rate of return, then the chances are you won't run out of money in the future. E.g. if generating 6% whilst withdrawing 4%, then you have 2% compounding and growing into the future. You’re in a phenomenal place financially, provided you can maintain your investment rate or make them better over time. This demonstrates that it’s not too late for you at all, provided you continue to give priority to your future financial life. The above analysis just gives you a simple framework for understanding your numbers. You have to probe them and assume some worst case scenarios too. Obviously, none of us know what the future holds. Making sensible assumptions backed with action is the best you can do. Stay healthy and have a bias for growth, and you’ll only get better and have a more secure financial future. Enjoy the journey and your family and celebrate along the way. You’re winning! Thank you once again for letting me consider your situation. I hope you’ve found this useful. P.s. 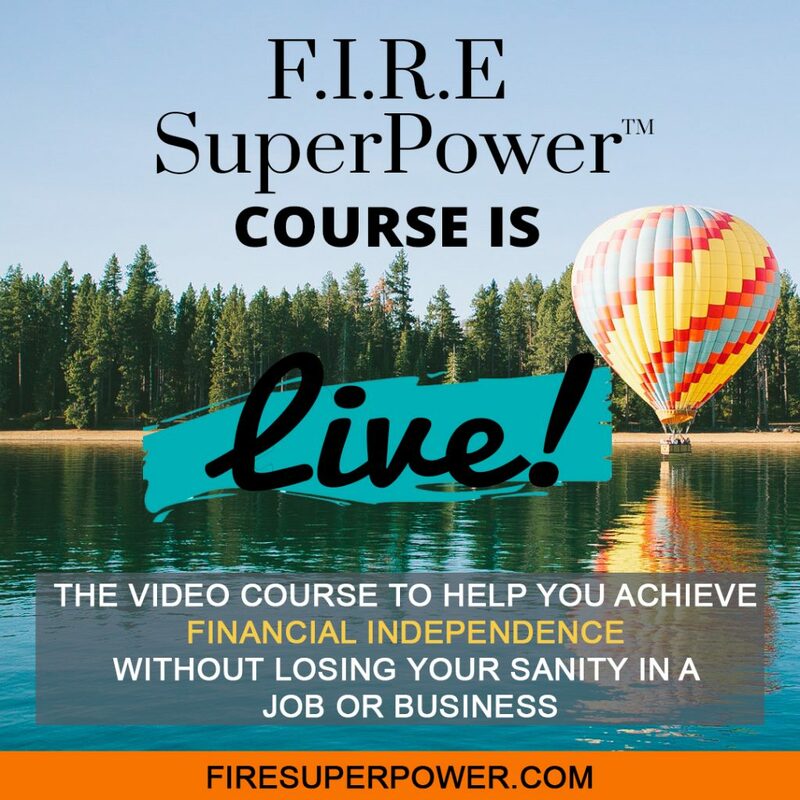 I am writing a course called FIRE SuperPower, which covers all the above and a lot more and aims to help people create an actionable plan for Financial Independence. 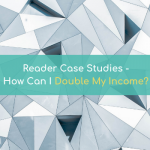 READER CASE STUDIES: How Can I Double My Income? 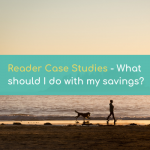 READER CASE STUDIES: Is Life Insurance Worth Paying For? 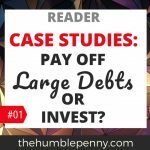 READER CASE STUDIES: Pay Off Debts Fast Or Invest? Is Early Retirement something you'd like to achieve? What has been your biggest challenge in working towards it? 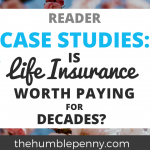 Reader Case Studies – Is Life Insurance Worth Paying For Decades? 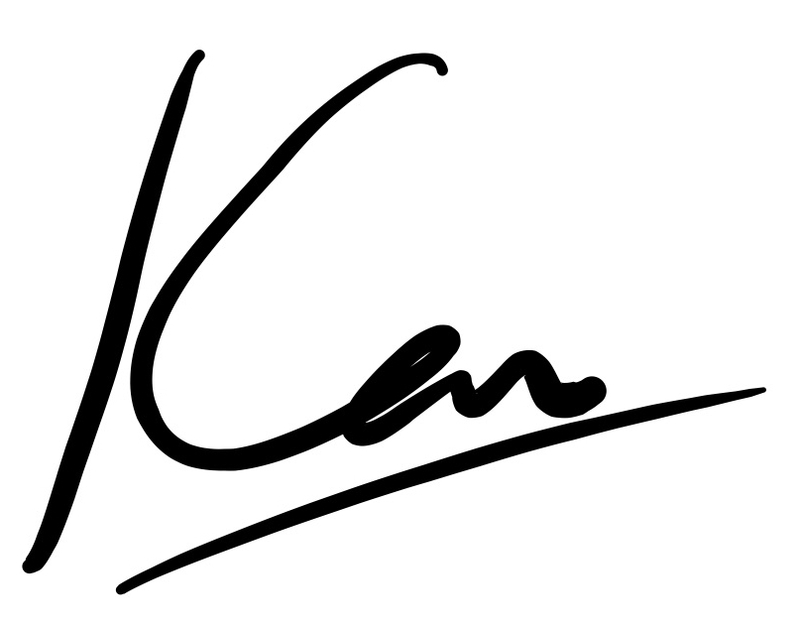 I have learnt a lot from this case study Ken. More so because I can relate with that sense of feeling late in terms of preparing for life after work. It’s encouraging to find that giving a good amount of thought to the quality of life you want holds the key to getting it. So long as it is called today, there is hope. Biggest takeaway for me is life is meant for living, there has to be a healthy balance between preparing for the future and enjoying each day you have for now. Pleased you found it helpful. It’s exactly why I love doing these case studies. I learn a lot from them too! Great takeaway re balance. So important for many reasons. Thanks for your input very interesting and encouraging. It’s good to know we just need to keep going and it’s never too late. Along with this Seb has the Defined Benefit pension paying at least £4,000 per annum, plus my teachers pension, plus state pension. So it maybe worth us aiming for 55 and 60 so we can slow down enjoy life sooner. We can always downsize the house. Plus we can enjoy life a little easier once debt is paid off. Being intentional has helped us focus on the future, whist still thinking of what’s best for our family today. Great spot about your defined benefit pensions, which are very decent. Cars – well I have a Hyundai i20 chosen because of the 5 year warranty. My 6ft 5″ BIL has a Hynundai i10, though probably too small as a family car. I bought my car with a £1500 discount for using their loan company and paid it off within the cooling period. Had researched and read they can’t ask for it back as classed as an enticement or something. My oh got a new car last year and we did the same with a £2k saving. If I was after the most reliable, cheap new car I would get Dacia Sandero and get the 5 year Warranty.